Have you ever considered combining video and photo to free your phone memory? Have you ever wondered if there's a way to make a cool video with just video clips and photos? Have you ever thought of making your invitation video with just pictures and videos? Here we've found the best ways for you to do this. Even if you have no experience of making or producing videos, you can become a professional with the tools we've collected. You can start with Movie Maker to combine videos and pictures together if your computer happens to have it pre-installed. 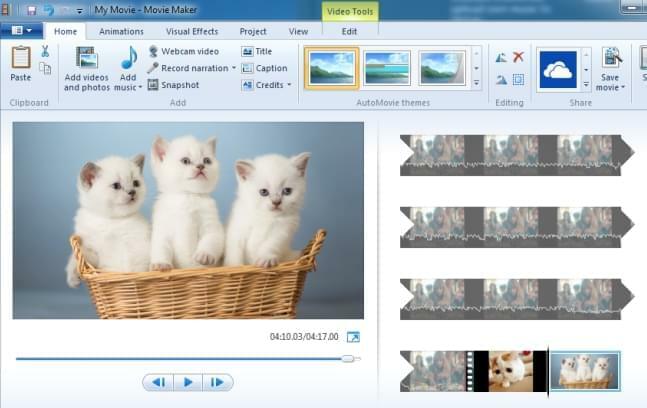 For most people, especially beginners, Movie Maker is the best tool to start with. It includes the cutter, splitter, rotator, transition, and subtitle features, which are the most basic tools for processing a video. The interface is also very friendly for first-timers. No need for professional skills or knowledge of special terminology. Let's check out how to combine video and photo with it. Open Movie Maker, drag the pictures and videos from your computer to the right blank area. Adjust the order and, cut out the clips you won't use in the video. Choose the transition effects and add background music for it. Export the final video to your computer or you can directly share it to social media sites. 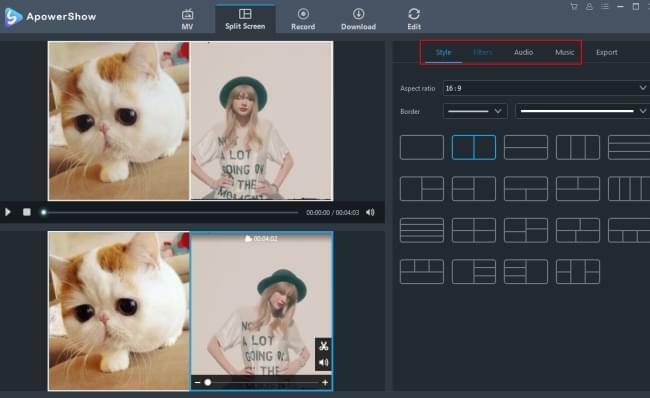 BeeCut is a much more professional video editor software, especially compared with Movie Maker. But the feature they have in common is their user-friendly interface. Its drag-and-drop feature, as well as the timeline make it very easy to join video and photo together. 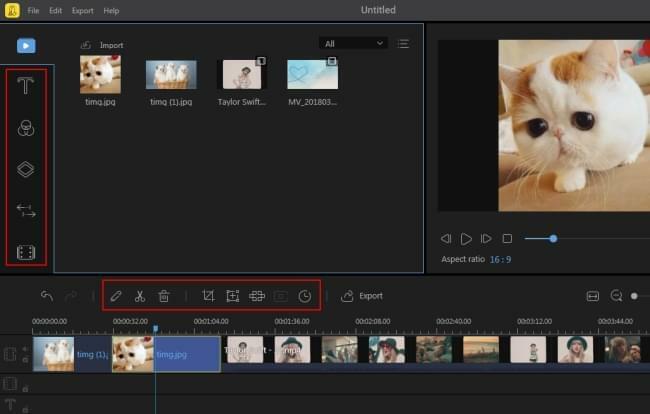 Apart from its ease-of-use, you can add filters, overlay, and transitional effects as well as animated stickers into your final video. The new update supports 1:1, 9:16 and 3:4 video aspect ratio in addition to the traditional 16:9 and 4:3, which significantly reduces the stress of selecting a suitable format, aspect ratio, and quality to share your video to TikTok and Instagram. Download BeeCut onto your computer; both Windows and Mac are supported. 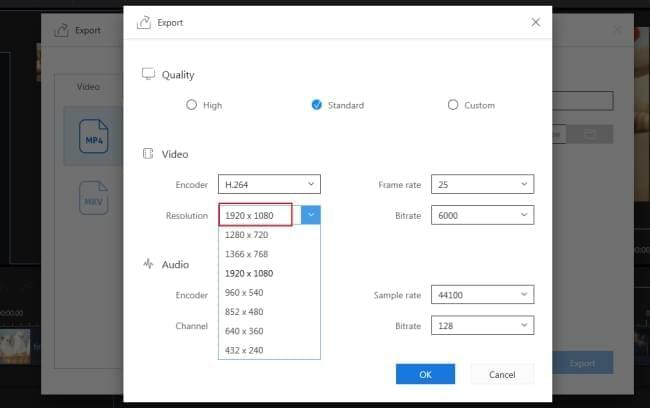 Open BeeCut, choose a suitable aspect ratio for your video. After that, you can import videos and pictures into the Media area. Drag and drop the video clips and photos into the top video timeline. If you want to add other effects to them, you can browse the left tool bar to apply stylish filters, overlays, transitions and stickers into your work. If you are okay with the video, export the video and choose a quality and format for saving it. 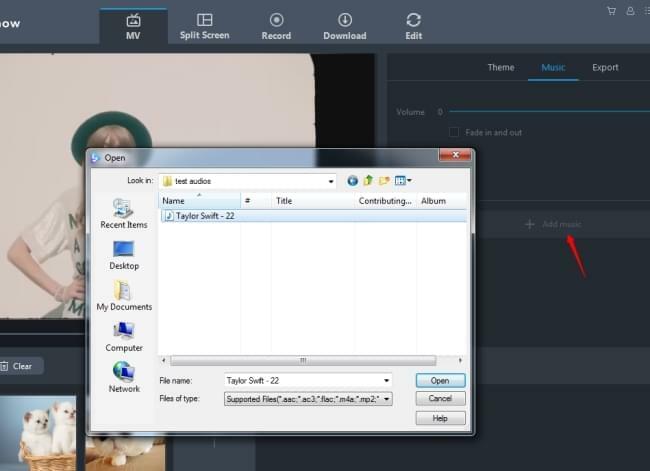 Open the tool, go to the MV tab, click on the "Add Files" button on the bottom left to add videos and photos into the software. 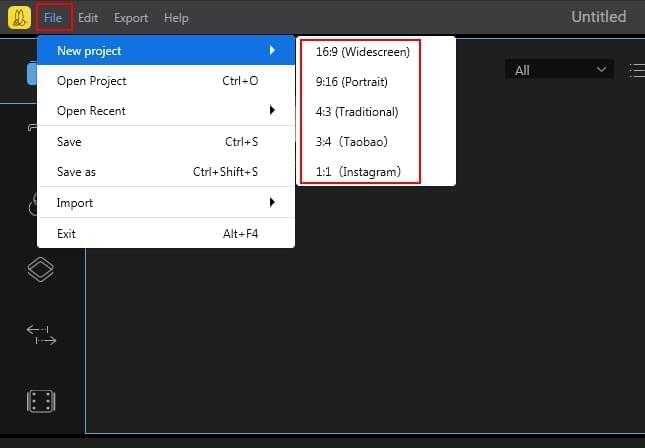 Once they are uploaded, click on the "Theme" option, and choose a video template for your project. Go to the "Music" option and upload your music file to replace the original music. Note: If you want to use the Split Screen feature, just simply click the "Split Screen" tab. And then follow the direction to start making the video. If you are using Mac, start with iMovie to join video and photo. It has already been installed on your Mac. Like Movie Maker, this software is specially developed for Mac users. It offers all of the basic functions we need for producing a video. In comparison with Movie Maker, it is a bit more difficult to use. Google the text or video tutorial if you want to master it more quickly. Open iMovie on your Mac, click "File" > "New Project" to start a new iMovie project. 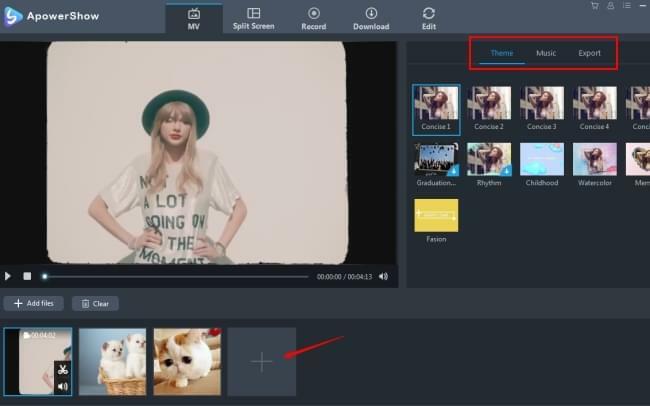 Import the video files and photos you want to join together by clicking "File" > "Import". Drag the files to the timeline, you can edit them before combining them. After that, you can click the "Share" button to save the file in your Mac or upload it to the social platforms. 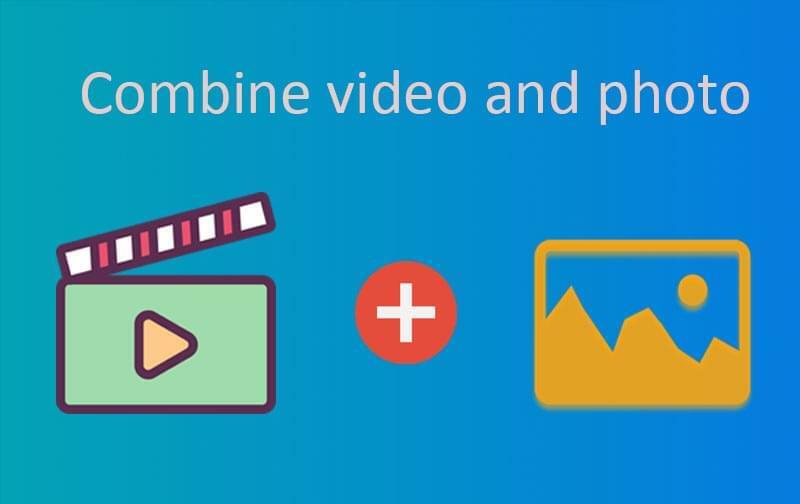 There are so many tools that can help you to combine videos and photos together. If you are looking for a free program or reliable software to merge videos and pictures easily, try the methods above. I'm sure you will be satisfied with them.